With El Niño approaching, sandbags are the most effective and inexpensive defenses. Street Maintenance provides free sandbags to residents in Torrance residing in single-family homes and duplexes only. During storms, Street Maintenance orders and fills sandbags for Torrance residents. Each resident can pick up a maximum of 25 filled sandbags at no cost at the City Yard, depending on availability. Please call Public Works at 310-781-6900 before coming to the City Yard to make sure a crew is available to help load the sandbags into a truck or car. Also, be sure to bring some form of ID (Driver’s License) to show residency within the City of Torrance. During after-hours storm emergencies, Torrance residents may call the Torrance Fire Department at 310-781-7042 for information on sandbag availability. 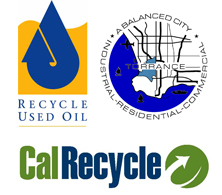 Visit this Torrance Public Works webpage for more information. Unwanted and expired drugs in the home can be dangerous. They can cause accidental poisonings in children, the elderly, and pets. Unwanted and expired drugs can also cause harm or even death when used by curious teens and young adults. Used needles, syringes, and lancets (sharps) can cause accidental injuries and infections if they are not properly disposed. Los Angeles County is working to make it easier for residents to safely dispose of unwanted medicines and sharps. To do this in the best possible way, your input is needed. Please fill out this short survey to let us know which disposal options would work best for you and to share your thoughts on this issue. The survey is in English and Spanish and will close on January 11, 2016.